Looking to give the gift of art this holiday season? Downtown Disney District at the Disneyland Resort has many fantastic opportunities in December to meet the artists, collect a unique piece and have it autographed! Appearance Date: December 2 from 1 – 4 p.m. This is a limited-time release of Shag’s earlier works, which is a terrific treat. Meet and greet Shag and he will sign his respective work. Josh Agle, more commonly known as “Shag,” is a painter, designer and illustrator working in Southern California. 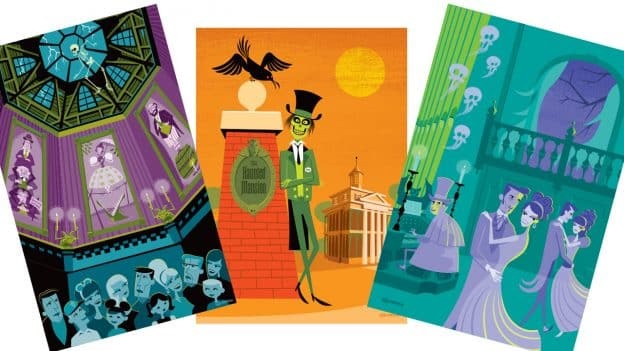 His distinctive artistic style draws from commercial illustration with a flair for a mid-century modern look and his Disney art is loved by fans. 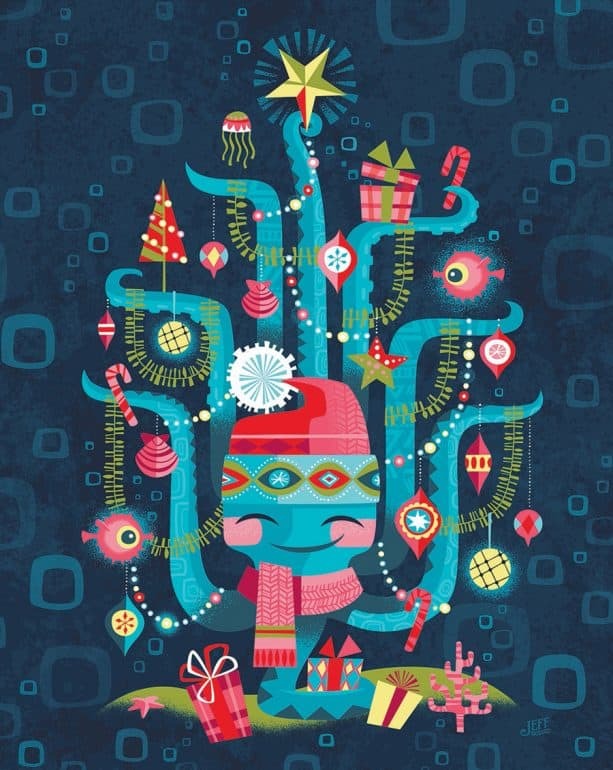 Appearance Dates: December 2, 7, 9, 14, 16, 22, 23, 29 and 30 from 6 – 10 p.m.
From his studio in Southern California, Jeff creates graphic designs that are bright, whimsical and have a vintage feel you’re sure to love. Meet him in person and pick up one of his fun holiday pieces. Appearance Dates: December 1, 2, 15, 16, 22 and 23 from 2 – 5 p.m. Sample different blends of olive oils and choose a bottle for family, friends or for your own kitchen. Temecula Olive Oil Company is family-owned and operated, and committed to using only California olives to make the highest quality olive oil. At their olive ranch, they practice sustainable agriculture, growing and harvesting a wide variety of olives and hand press using traditional methods to produce fresh, full-flavored extra virgin olive oil. Appearance Date: December 16 from 2 – 4 p.m. The newest collection of HARVEY’S bags themed to Sorcerer Mickey will debut at this event. Guests who purchase bags will have the opportunity to meet and greet the company founders, Dana and Melanie Harvey, and have their bags autographed. HARVEYS is a Southern California-based design house founded by this husband and wife team. Years ago, when Dana was restoring their vintage car, he was inspired to repurpose the seat belts into a bag for Melanie. Everyone loved hers so much, they decided to make more for everyone to enjoy. By utilizing alternative materials, HARVEYS creates useful products that are sustainable, vegan and locally made. 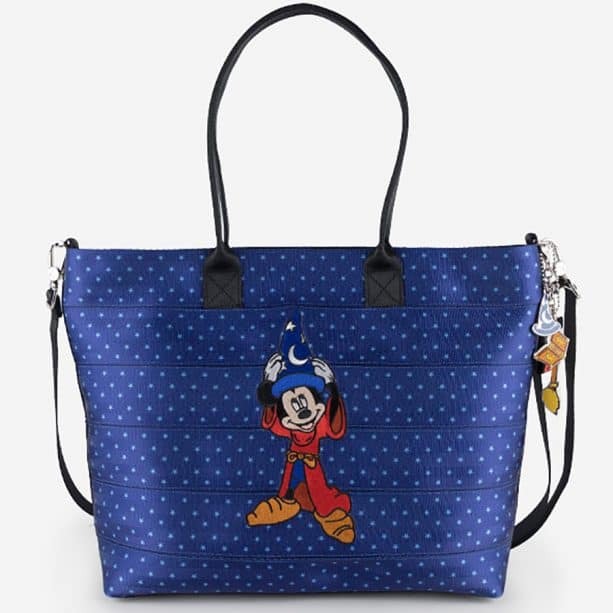 Their couture line of Disney bags combine art and functionality and are a must for the Disney fan! 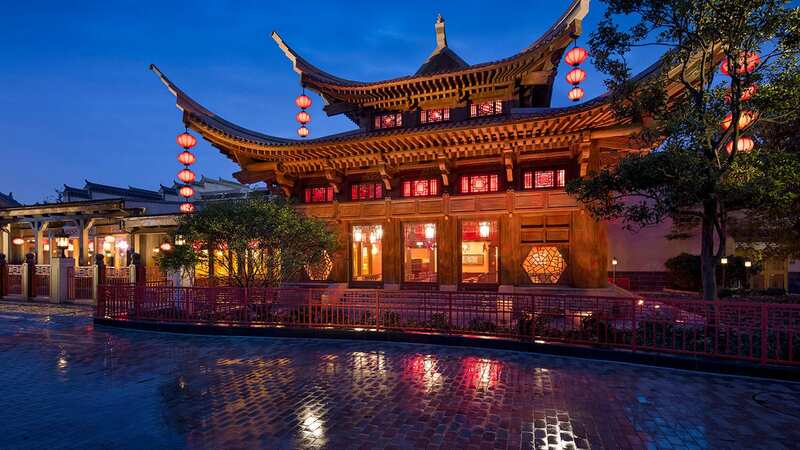 It’s a wonderful time of year to visit the Downtown Disney District, with innovative events, nightly entertainment and a host of specialty boutiques to find the perfect item for everyone on your list. For a schedule of events and entertainment, please visit Disneyland.com. Are these Harvey’s streamline totes going to be available anywhere at WDW and if so, when? Could u tell me what shag artwork is coming back?